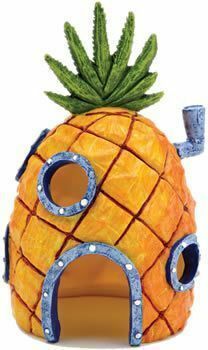 Sponge Bob Pineapple Home Large Details: The Pineapple Home is where Sponge Bob & Gary live in Bikini Bottom. One of the best selling lines from this cartoon series. This is a colourful resin aquarium ornament, many customers like to collect the whole set.